I have trouble explaining just how much of a game changer Price and Profit Design is going to be for people. Quite possibly the most distressed floral designer out there is the one who has just finished 1-2 years and has figured out that it seems impossible to make a good living at flowering. Even more distressed is she who has finished a year of hustle, grind, and possibly soul-enriching and exciting work only to find that the bottom line, is in fact… IN THE RED. I sat down with one of my favorite newbies to help her restructure her biz, give her some insight, and apply some fixes that will get her fledgling business to a point that will sustain her, allow her to breath, and give her some flexibility to really find her groove. This is a long one and honestly, the most in depth overview of what you will find in the program without just giving it to you. So stay tuned until the end- especially because you will want to join our Q & A webinar that accompanies this post and get on the cost saving early bird list for our program when it is live September 28th. 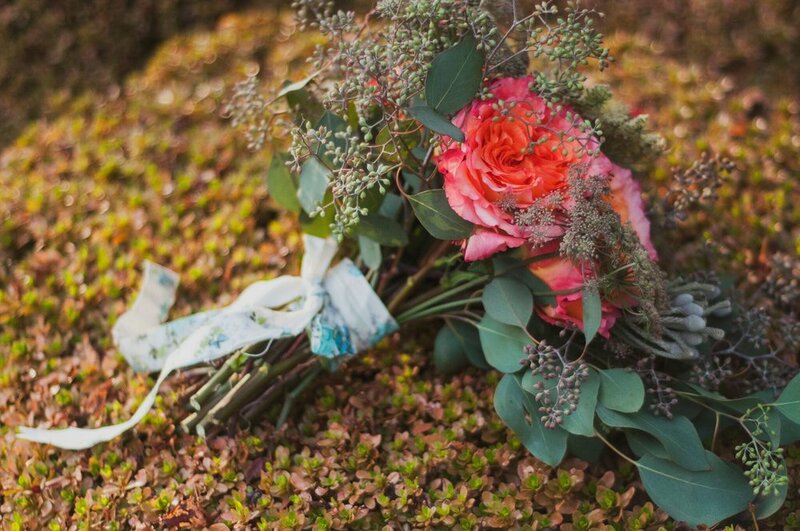 This designer quit her corporate job for the love of floral design. She has a background in design, is organized, and a hard worker. 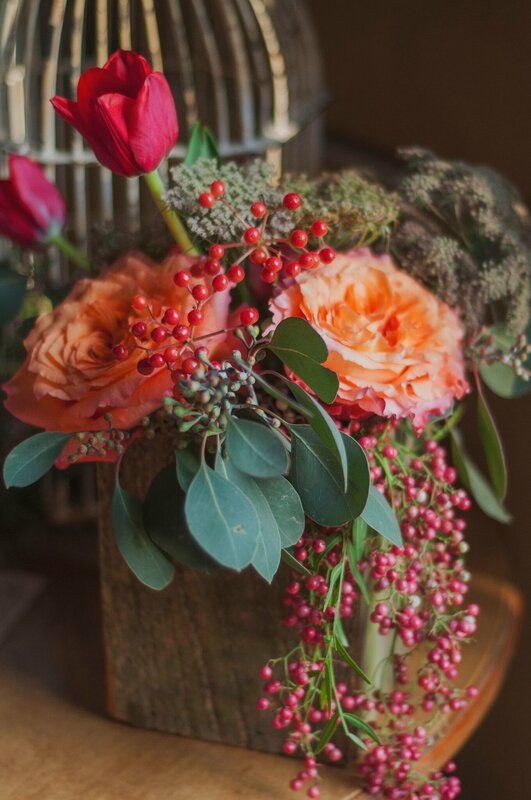 She works out of her home studio and focuses (now) on offering floral delivery, weekly arrangements, weddings, social celebrations, celebrations of life, and has seasonal offerings for Mother’s Day, Valentine’s Day, and Holiday wreaths. She’s at once in love with her new industry. She finds more personal balance in the work schedule it provides, but she’s never had such financial difficulty. She sees all opportunities as a marketing opportunity. This never ends. She’s desperate for work. She is not making enough to survive. She gets bombarded with marketing opportunities. She thinks she’s doing okay on some of her more recent work. But has a hard time overbuying. She has no pricing structure. She’s overwhelmed by and just not into any online sales opportunities. The process she is providing her clients doesn’t match up with the costs she’s charging. She feels weird charging what more experienced designers are charging. She has an incredible process. She supplies full proposals with color palettes, mood boards, and detailed descriptions of what she will design for the client. She is organized, clear, and knows how to talk to people. She’s friendly, honest, and reliable. She does good work, and loves the seasonal, locally grown product. All signs point to a higher end client than who she is currently trying to get. All the costs… not just the flowers. She thought she was doing all right by spending 50 cents for every dollar she got on flowers and ingredients. After we figured out ALL the costs, we saw that get tighter. We had her define what her base salary would have to be for her not to worry. Currently her salary was negative, her business was taking money from her life and this needed to change ASAP. She calculated what her and her husband needed for her household to function leanly – but comfortably. She subtracted her husband’s salary and was left with 35K. It seemed like too much to ask to go from negative 10K in the red to 35K as profit. That’s where she was mistaken. Her salary was not going to be profit. The 35K would now be a necessity for the company to produce. Something akin to a fixed operating costs. The profit we set at a small .5% of total revenue to start thinking of profit for what it is… profit! We then set an emergency fund also to .5% to start, and a fund to cover federal taxes. (all state sales tax was transferred to a separate account) so it wouldn’t be spent. We then went through her marketing expenses. She’s been hesitant to do too much marketing as it's not super comfortable for her. BUT she knows she must get more work. So she opted for inexpensive methods, some photoshoots to generate images that would attract her ideal job, and some shows to test out. We also included any collateral, coffee meetings, organization dues, and tickets to networking meetings. All these costs we added to her marketing expense 'bucket'. We talked about her operating costs- costs that are generated by the company regardless of whether or not a client ever appears. She is working out of a home studio so currently these costs are low. Mostly a subscription to her design program, a share of her water bill, business insurance, and website costs. We added anything obvious that would save money or relieve a burden. We calculated her current spending on jobs. Because we know she is negative in her biz and she has a tendency to overspend, we used a moderate percentage for costs of goods based on some of the case studies we outline in the course. We shoewed her how she’s going to stick with it. This percentage will be something she tracks on all future jobs. It’s a number that is achievable but is not super lean as we want to bridge her habit to overspend to get her comfortable with the process of planning orders and tracking spending. She'll be able to tighten this down in the future when she finds some solid ground. Then we talk about her revenue streams, how she’s been able to get work. What she likes, what’s been working and identify the different ways she makes money. Then we figure out how much of these things she can comfortably do in a year. Because she's new, she's not yet shown that she can bring more work, so we included part time freelance work for another designer as part of her revenue streams for this year. We then put these numbers into our tracker which will allow us to mess with # of jobs, average invoice for each job, and average cost of goods percentages for the different revenue streams. This is going to give us a number for what our total revenue needs to be. As we mess with each input, we will be able to see how many jobs she needs to do. If that gets too high, then we add more to each average invoice. We may even add revenue streams. Our calculators automagically adjust how much annual revenue she needs to bring in as we mess with # of jobs, average invoice, and her cost of goods percentages. We finally land on a # of jobs she thinks she can acheive, an average invoice that seems ambitious, and a percentage of cost of goods based on our case studies. We see that she has to DRAMATICALLY increase the size of her average invoice in all revenue streams- to the tune of 5X. So if her average job was $500, she needs to get it up to $2500 on average. This is the reality of her situation. She needs to 5X her average invoice AND get more jobs AND reduce her spending flowers and materials. This is how she is going to meet her goals based on HER knowledge of what she needs. These changes are necessary in order to make this happen. Shock. And a log slow…. Ohhhh sh*t.
If this was a sales goal, based on what she’d like to happen she’d scoff and say it was not possible. But seeing it this way helps her understand that THIS is what it is going to take her to get what she needs. This is her own reality. This is what NEEDS to happen by her own definition. She’s trying to control her breathing. She thinks she can get that many jobs. But she has no clue how she is going to raise her average invoice and reduce spending. And what she doesn’t know is that the numbers she needs to hit in terms of raising her invoice is all totally reasonable rates for her city. A fair and reasonable price for the value she is giving. She doesn’t know that though because it’s hard to see the path when you are busy hacking your way through a jungle. She has a lot of work to do but it is totally do-able. And she has help because we are giving her the tools via spreadsheets, trackers, and ordering forms. This is the multiplier that she knows with total certainty that she needs to apply to EVERY single cost of good to her business or she is not going to meet her goals. Remember a cost of good is EVERY cost that goes in to producing an event or arrangement or design for your client. Everything that you wouldn’t had had to buy if you didn’t have this client. All those times she was wishy washy about giving a discount become clear to her. All emotional pricing is ended with this factor. She’s already charging over that 2.5X in her flowers- no problem. But assistants on wedding setups? No. Teardowns, Coffees and lunches, parking, linen costs? No- none of those were multiplied (if these costs were passed onto her clients at all). We take one of her past jobs to illustrate how she will now be charging in the future. First, we walk through the costs of this particular job. It was a wedding on an island- so a bit more travel than the typical wedding. Flowers, ingredients, and vases she’d accouted for and had some charge for to the client. We added to that gas, the cost of the rental truck, breakfast, ferry tickets, and labor time. She hadn’t accounted for her husband who she’d used as free labor but this is not likely something she can count on in the future. We charged his hours at a low rate- but still something she would be able to find an unskilled crew member to fill in the future. She hadn’t accounted for her time either. Now remember, we are just focusing on getting her the minimum she needs in her life right now (we can always go through this process later for more). We are going to take her base salary of 35K to find her full time hourly cost TO THE COMPANY of $17.50 an hour. That may seem low but remember, we are just trying to get this gal up to the level that she can take a sigh and know that she is on solid ground. This is step ONE to get her in the black. We also talk about the significant amount of work she did before event day. She had meetings with the client about 3 hours worth, she spent about 20 hours on a design proposal. The collection of flowers and running errands for goods, processing of flowers, that all took about 15 hours. These hours are also added up and multiplied by her hourly pay to get a cost for the company. With that, we get the total cost of this job to the company. These are project costs or 'total cost of goods.' Why? Because if we did not have this job, she wouldn’t have bothered to step out of the house. Here is what is shocking. She finds that on a job that she THOUGHT was bringing in a profit, was actually a wash. All the money she received from this client was ALL spent in the production of this wedding. She didn’t lose money, but all that work didn’t improve her life. The event that she thought was finally getting somewhere- was not. This is not unusual. Many people function in their business entirely at or around this state. They feel like they are getting somewhere then at the end of the season, they are baffled at how they could be so busy and so broke at the same time. Here’s the beautiful thing. Her Xfactor tells her the MINIMUM that this event should’ve cost. All her costs multiplied by her Xfactor is the minimum she MUST charge to her clients if she is to meet her goals. The next step is figuring out her pricing structure that will get her up to this number. We use a mix of ensuring that she is not hiding any costs to her client including vase rentals, candles, and setup and tear down fees. Next we apply a design fee. I always recommend some sort of design fee if you are doing anything more than ‘designer’s choice’. Her design process is considerable so we apply a billing rate to the design process. We also apply a billing rate ABOVE her take home pay and that of her assistant’s to charge the client. I usually recommend at least charging double what it costs your company to your client as a billing rate. Next we tweak her arrangement costs. We get them up to a rate that is covering her costs but also if something has a higher perceived value than what it should cost, we add extra. This is the art part of pricing. I don’t care how you get there so long as you are charging the minimum you need to charge. We land at a number that is around 6K. She had charged 2K. "People pay this?" she asks? Yes they do, AND if they cannot, the only answer is to reduce the costs that this job incurs. The only answer is to have less materials, less labor, less design. LESS to them. Not to you. Because you are going to do this for a long time- and for the first time EVER, you will know how low you can go. Any less, and it hurts your life. 2. Because she has priced herself as a budget florist. And that is who she attracts. This florist is going to always develop recipes for herself to reign in her ordering process. She did not document what she used in here arrangements. She found that she had plenty of flowers. So much in fact that she added more than was necessary. 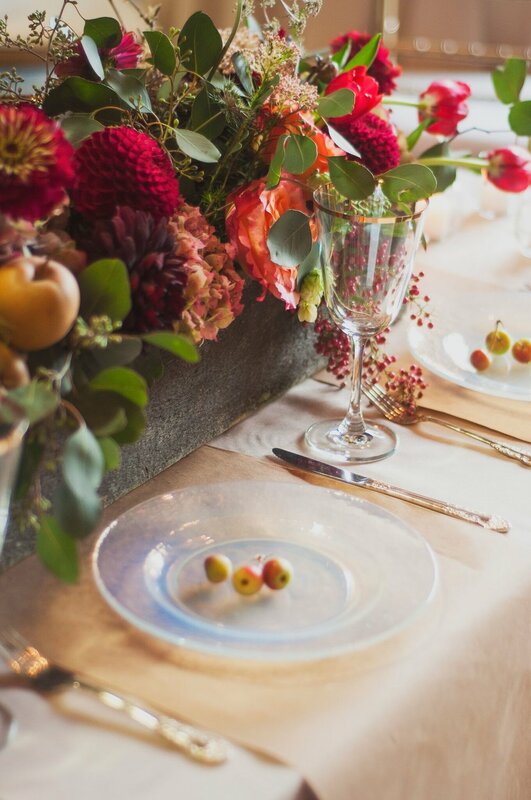 From now on, she is going to do the work to figure out some of her signature recipes in functional recipe format so that next time she doesn’t overbuy and can know in advance if the amount of flowers and labor involved in an arrangement is in line with this client’s budget. She’s also going to change how she talks to planners and clients. She’s been doing jobs at a level that should bring in 5-6K but has been charging 2K or less. When a planner asks her how big her average wedding is. She is going to tell them 5-6K because that is exactly the workload she has been producing. She is going to talk about that design process and leverage her abilities to pre-plan and professionally manage the bits and pieces of jobs at the 5-6K level. She may even choose to do a simple photoshoot to figure out the smallest event she is willing to perform and engineer what that minimum is. That way when people ask what her minimum is, she can say, _____ is our minimum, it’s the level at which I feel I can cover the bases while still supplying the quality and detail that comes naturally to me. I simply cannot wait to see how this floral designer is empowered by this information. Everything stated here including average invoices, Xfactor, anything is totally specific to this designer’s life. It’s is by no means what you should be doing in your life. For that you should join us in Price and Profit Design to discover your own boundaries, goals, and needs. And as a side effect, the confidence and clarity to carry out the work you need to do!